Is Jacked Muscle X a scam? Do you want a “ripped, muscular body as quickly as possible” then you maybe tempted by trial offers such as Jacked Muscle X. These trial offers allow you to try a supplement at an affordable cost before having to fork out for the full purchase price. Unfortunately you will need to be careful when signing up to these offers as we have found from past experience that there are hidden costs and repeat orders that you will have to contend with. 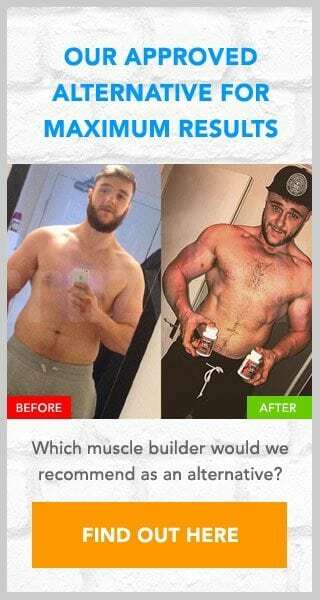 In this review we will look at the Jacked Muscle X offer as a whole before deciding whether it is a scam or not. 4 So is Jacked Muscle X a scam? While these claims are certainly impressive and will no doubt entice some people into making a snap decision to sign up for the trial. My advice to you however would be to hold off for a moment to check what ingredients the supplement is made from. So that you can see for yourself what benefits can be experienced. Unfortunately there is neither an image of the label, nor any mention of what ingredients can be found in Jacked Muscle X. This not only makes me doubt its claims but also makes me wonder if there are any ingredients present that could potentially cause me harm. Without any ingredient information available there is simply no way of knowing what effect it will have on your body. The price you will pay if you fail to cancel your trial within the allotted 14 day trial period is $89, which is more than I would expect to pay for this kind of supplement. As with most trial offers we have seen, this fact is not immediately available as you will only find it stated in the terms and conditions, which no one ever reads. If you had you would also realise that further monthly packages will also be sent out to you as this trial offer lead onto an auto-ship program. So is Jacked Muscle X a scam? These types of offer are often called a scam by those who have signed up to them. However, legally they are covered as their payment details are available onsite. My advice to you would be to always read the terms and conditions before signing up to any offer. Especially any offer that seems too good to be true. If you have signed up to this offer please leave a message for us below. A supplement unavailable for trial that I would recommend that you buy is D-Bal (available from Crazy Bulk). This particular supplement has been created specifically to mimic the benefits of the steroid Dianabal that has now been banned due to its side effects. As there is no trial available the price you see is the price you pay. There is no auto-shipping or hidden charges to contend with.